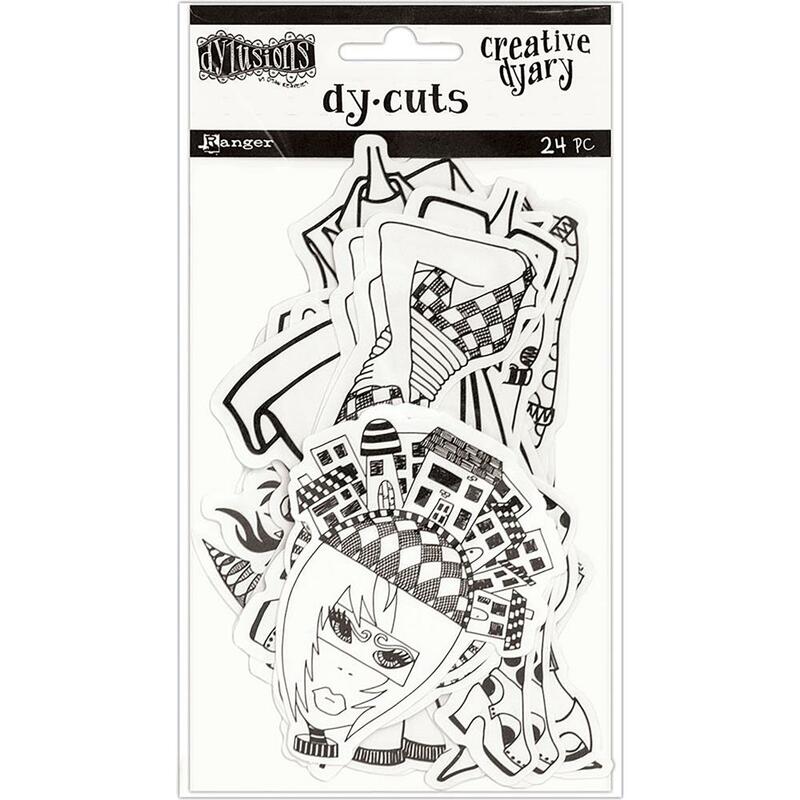 This package contains twenty-four (24) Dy-Cuts that are ready to Color with your markers, paints, inks etc. or leave them as they are Black & White. Inside you'll find twelve (12) Designs and two (2 of each design. Part of the Creative Dyary Dy-Cut Collection by Dyan Reaveley at Dylusions / Ranger Inks.